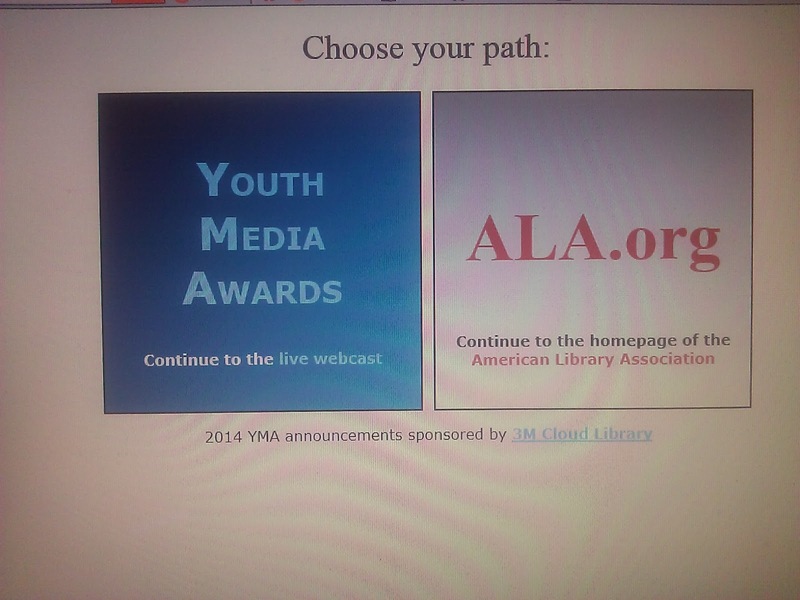 Tonight the American Library Association's website has become a Choose Your Own Adventure game. Forgive the crappy screen shot. Readers, choose wisely! You can be a Librarian/Librarian Fan, or go straight to the Youth Media Awards (which is the ultimate Choose Your Own Adventure if you think about it. The best of the best in youth books, videos and "other outstanding matierals" as the website puts it) We're talking the Caldecott, the Newbery, the Printz and Coretta Scott King Book Awards-- it's very exciting. I imagine winning an ALA award is much like winning a Nobel-- the phone starts ringing waaay too early. But in a good way. Congratulations to all of the winners. Here's to another fabulous year of writing!